Recently there has been a lot of media coverage surrounding disposable paper coffee cups and the lack of recycling facilities in the UK. The Environmental Audit Committee called on the government to introduce a UK-wide 25p ‘latte levy’ on disposable coffee cups with a target to recycle 100% of them by 2023, and if this target isn’t achieved, a total ban being is being called for by MPs. As of yet there has been no mention of where the levy will go and who would benefit from it. So, why aren’t these cups more widely recycled? Although the cups are largely made of paper, they are lined with plastic polyethylene. This material is tightly bonded to the paper making the cups waterproof and therefore able to contain liquid. If this wasn’t problematic enough, they’re also contaminated with drink. 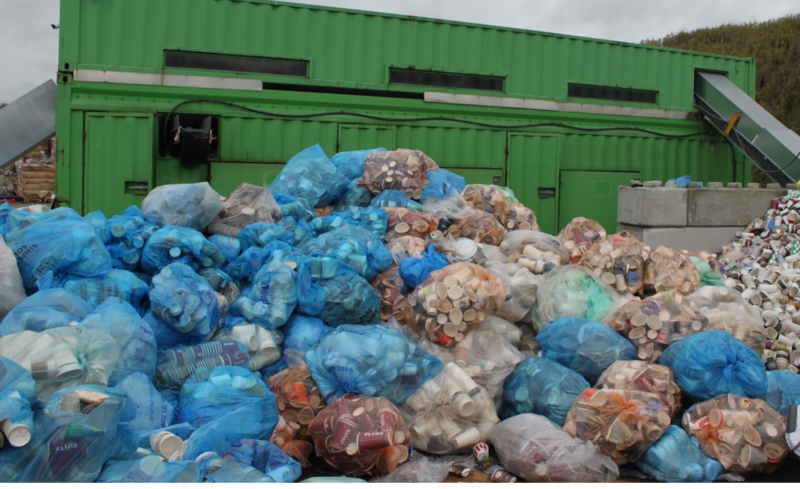 These issues mean that cups can’t be recycled at standard recycling plants and need to be taken to special facilities. There are only three of these in the UK. Simply Cups is the only dedicated cup recycling service in operation in the UK. Simply Waste Solutions is a founding partner of the Simply Cups programme which helps recover and recycle some of the 2.5 billion paper cups that can often be sent to landfill or incinerated each year in the UK. The collected paper and plastic cups get turned into second-life materials, from pencils to tables and benches. Cup collections can cost less than a penny per cup to have recycled. Peter Goodwin, speaking on behalf of Simply Cups was recently on Channel 5 news discussing the proposed 25p tax. The full interview can be watched here. To find out more information on Simply Cups or to become a member and be part of this unique scheme please see the website http://www.simplycups.co.uk/. New year, new recycling system?